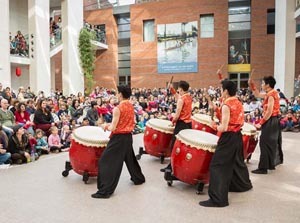 Come join in the exciting Chinese Lunar New Year in a fun-filled weekend celebration at the Peabody Essex Museum. Celebrate the Year of the Pig with music, art making and other traditions, including colorful lion dances. Adults $20, seniors $18, students (with ID) $12, Youth (16 and under) and Salem, Mass. residents (with ID) admitted free*.